As cloud computing and deep learning accelerators drive faster advances in the PCIe roadmap, existing hardware designs cannot support the higher speed signals over the same distances. The PCIe 1.0 specification allowed signals to travel as much as 20 inches over traces in mainstream FR4 boards, even while passing through two connectors. In contrast, today’s quicker 16 GT/s PCIe 4.0 signals will peter out in under six inches and without going over any connectors. In today’s designs, PCIe 4.0 signals can only travel three to five inches, requiring costly redesigns, moving to MEGTRON 6 and adding a retimer for increased distance. The PLDA and Samtec solution demonstrates an alternate approach using optical fiber (330 feet) or Twinax Flyover™ Systems (10 inches) to deliver PCIe 4.0 x4 with no significant loss of bandwidth. PLDA’s demo shows a system running at 16 GT/s and displaying relevant throughput and latency measurements. The demo result shows the bandwidth is not impacted by distance when using copper or optical fibers. “Samtec and PLDA’s multi-year PCIe 4.0 collaboration lowers barriers of entry and quickens time to market,” said Arlon Martin, Senior Marketing Director of Samtec Optical Group. 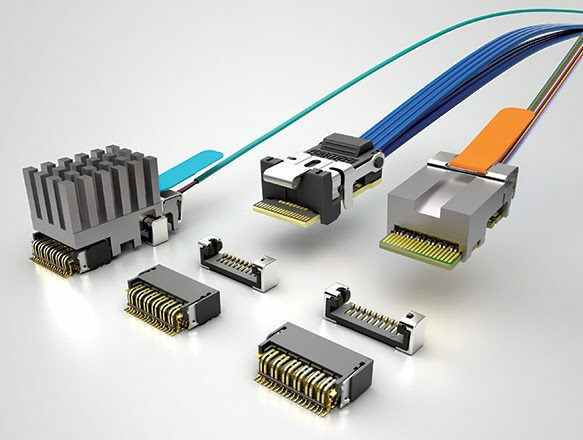 “The Samtec PCIe® Optical Flyover Cable Assembly enables designers to more efficiently take advantage of the incredibly low latency and high throughput without board constraints“. Find PCIe 4.0 platform tailored for prototyping, developing and debug of PCIe devices: https://www.plda.com/products/debug-test-solutions. PLDA is a developer and licenser of Semiconductor Intellectual Property (SIP) specializing in high speed interconnect supporting multi-gigabit rates (2.5G, 5G, 8G, 16G, 25G, 32G, 56G, 112G) and protocols such as PCI Express, CCIX, and Gen-Z. PLDA has established itself as a leader in this field with over 3,200 customers and 6,800 licenses in 62 countries. PLDA is a global technology company with offices in Silicon Valley, France, Bulgaria, Taiwan, and China. Founded in 1976, Samtec is a privately held, $800MM global manufacturer of a broad line of electronic interconnect solutions, including High-Speed Board-to-Board, High-Speed Cables, Mid-Board and Panel Optics, Precision RF, Flexible Stacking, and Micro/Rugged components and cables. With 33 locations in 18 different countries, Samtec’s global presence enables its unmatched customer service. PCI-SIG, PCI Express and PCIe are trademarks or registered trademarks of PCI-SIG. All other trademarks or registered trademarks are the property of their respective owners.